This weekend I made an exciting discovery. 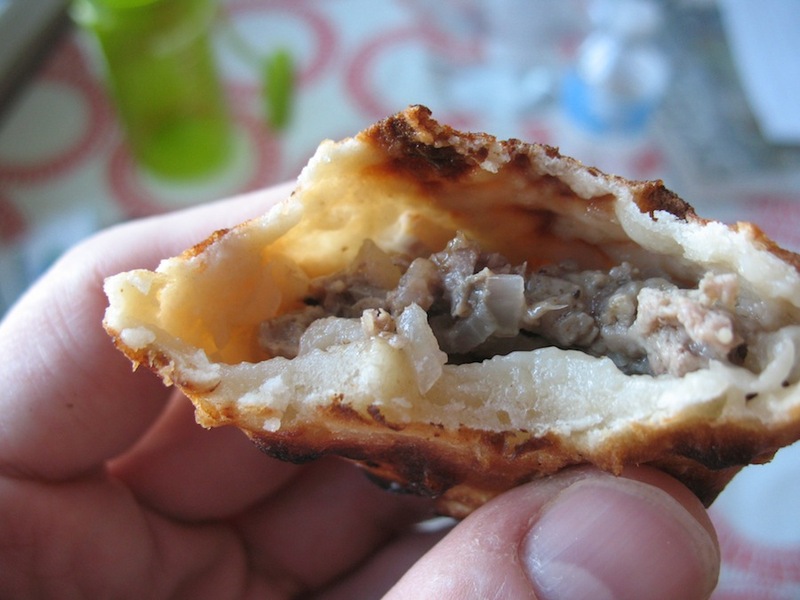 I found that I can use my gas oven’s broiler to replicate tonur-style Uyghur meat pies (a.k.a. 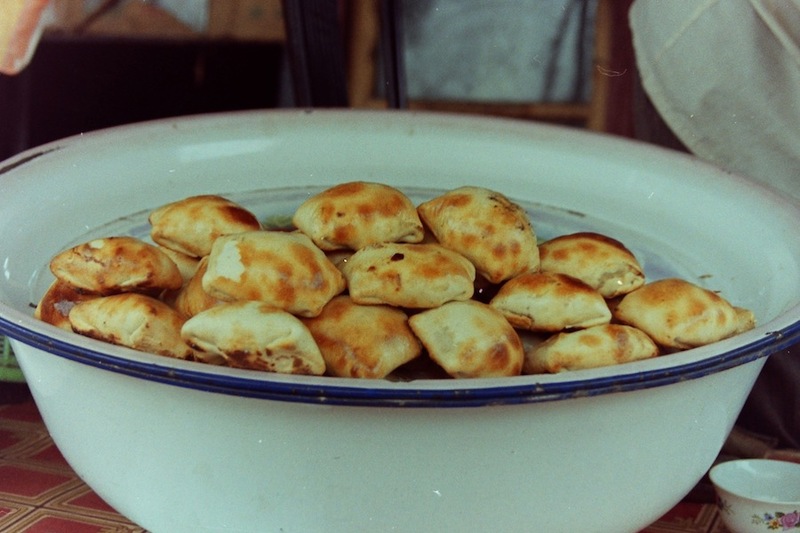 samsa سامسا). 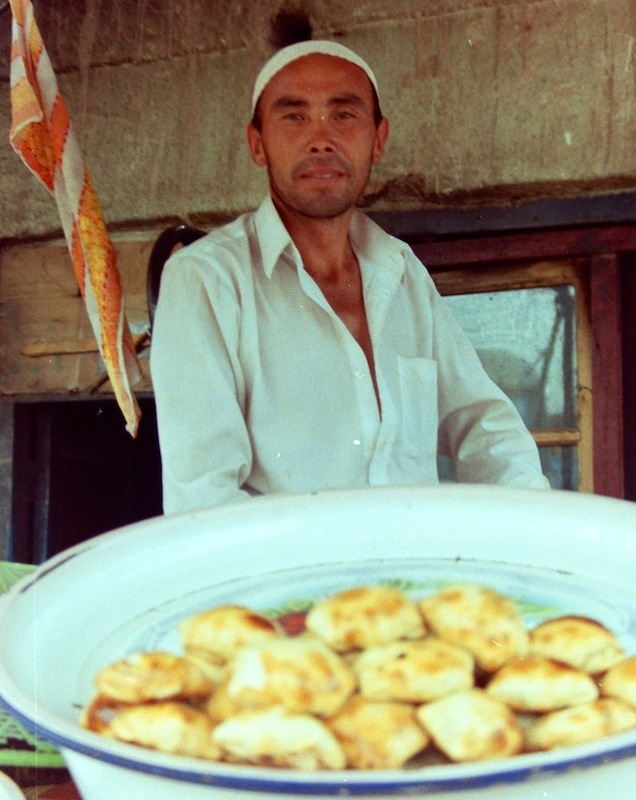 Uyghur samsa are delicious. 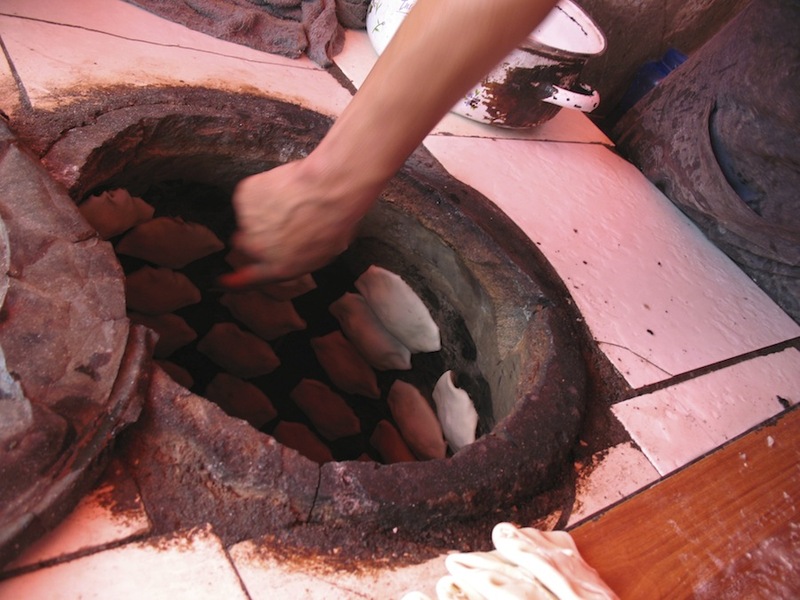 The filling is simply fatty mutton, finely-chopped onions, salt, cumin, sometimes pepper. The shell is a just unleavened wheat flour dough. This food item exists in several iterations across Eurasia. Samsa can also be made with ingredients other than mutton. Pumpkin samsa are popular, and chopped potatoes and other ingredients (like the South Asian cousin samosa) are also delicious. 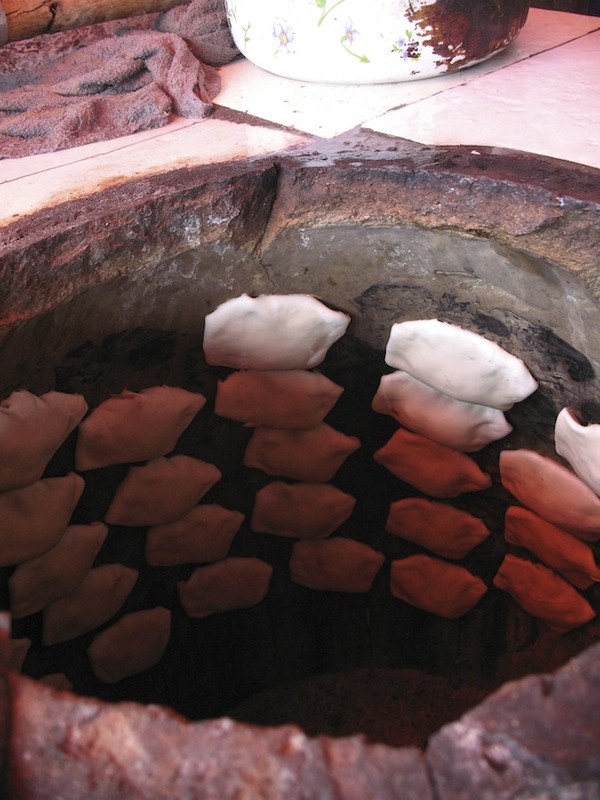 In Xinjiang, samsa are generally cooked in tonur ovens (a traditional Uyghur super-hot wood fire oven). 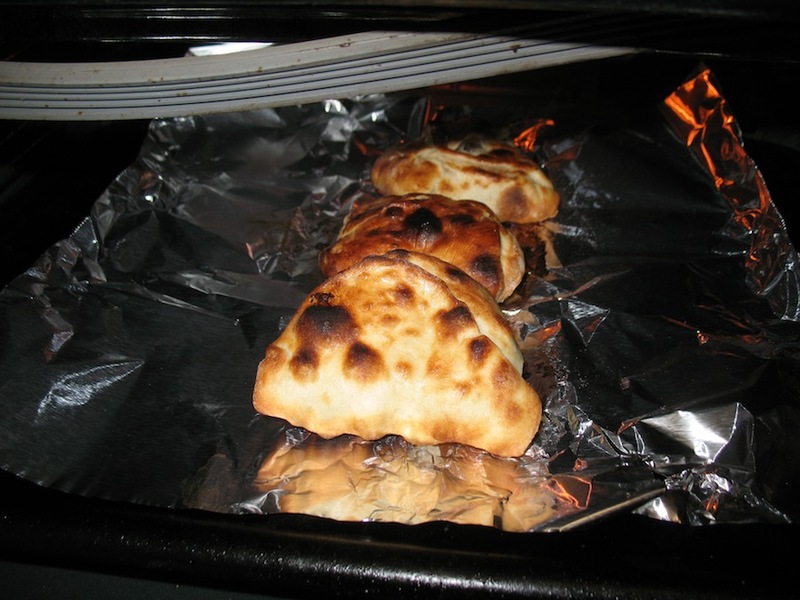 This is part of the reason why I rarely attempted cooking these at home, since it is difficult to replicate that burst of heat that can blister the shell of the meat pie as well as cook through to the raw ingredients inside. As you can see from the images above, that kind of baking is hard to replicate with standard home implements. 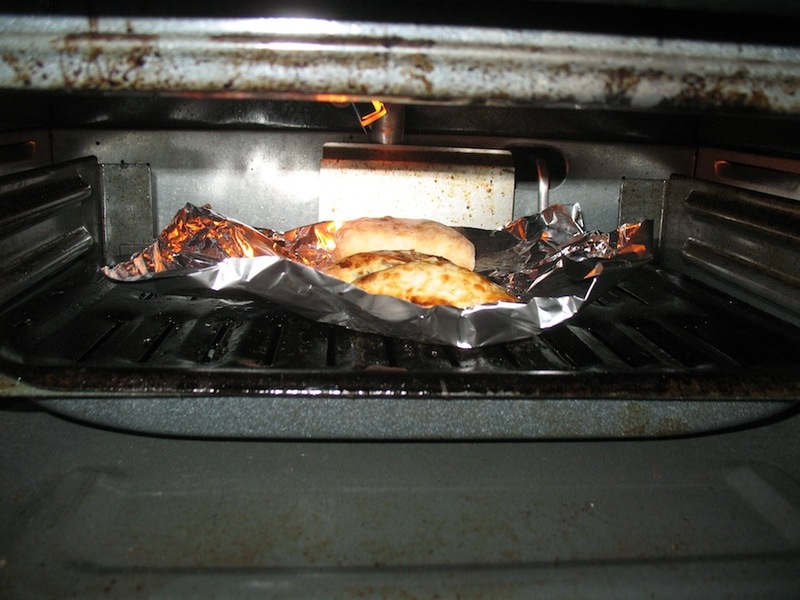 But then I thought… why not try the broiler? I figured the meat pies are kind of thin, maybe I could drop the broiler pan down low, keep an eye on them, and flip them when they are cooked on one side. The result worked. The shell was nicely browned, and the filling did cook through completely. I am very excited with how it turned out, but you really have to keep an eye on them. You are basically grilling with an unpredictable flame. If the oven gets too hot, the flame will turn off. Because of that, you might need to open the oven door to force the oven temp to drop and restart the flame. All ovens are different, so you will have to experiment. Electric heating elements might also work with this. 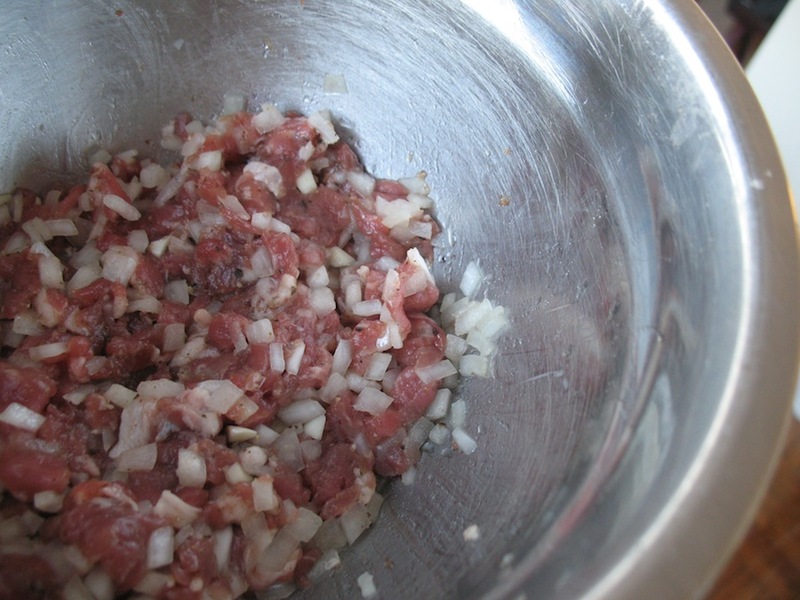 mix some finely chopped mutton, mutton fat, onion, cumin, salt, and pepper. For best results fry a small spoon in a pan to taste for seasonings. Should be a touch more salty than you think it should be, because the wrapper will be kind of bland. Mix some bread flour (or all-purpose flour) with some water. You can add a little salt, but salt in the dough is not necessary. I tried two recipes, one with egg, and one without. I actually liked the one without better. 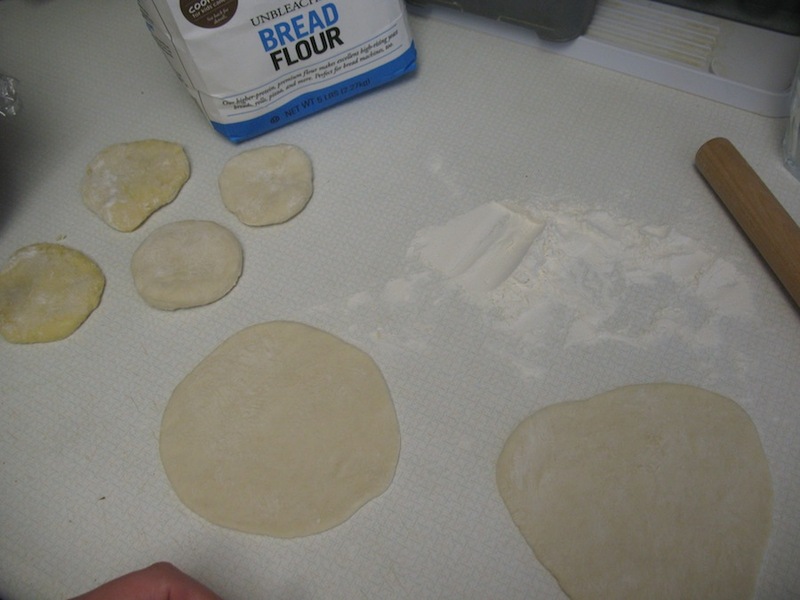 Flatten a small egg-sized dough ball into a circle and fill with meat mixture. 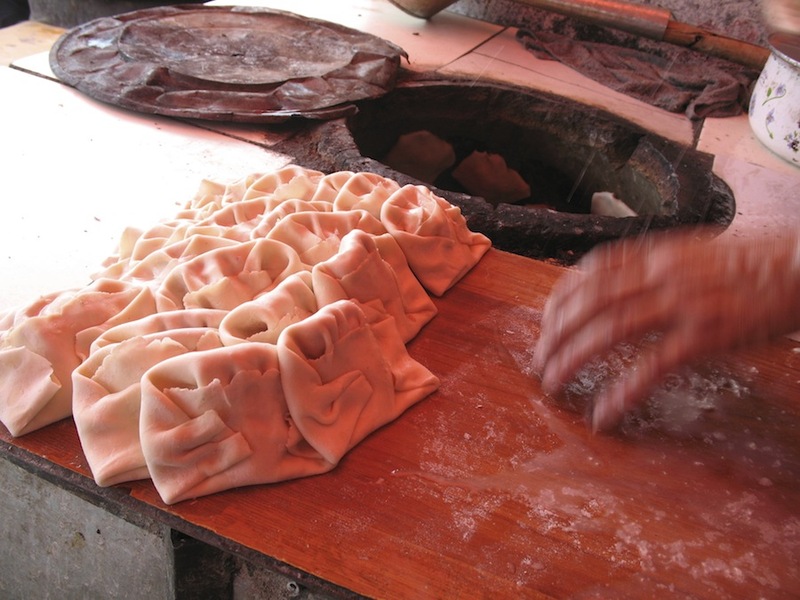 I folded my pies like I recall seeing them in Xinjiang, pentagonal. My seams weren’t very good, and some of them opened while baking. That didn’t bother me in the least. Keep a close eye, they cook quickly. Flip them when they cook on one side. 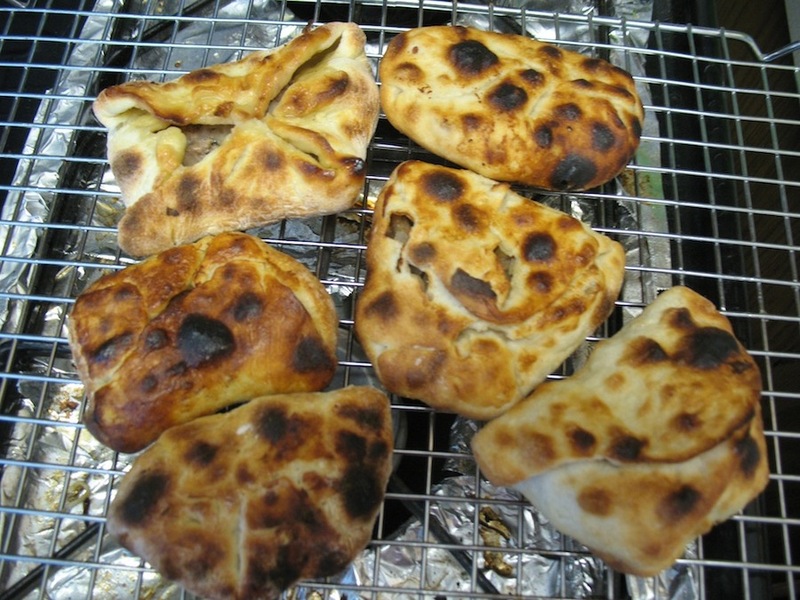 This entry was posted in - Featured Food Discoveries, - Recipes, Central Asia/Uyghur food and tagged baking, broiler, meat pies, mutton pie, samsa, Uyghur, 撒木撒, ئۇيغۇر, تونۇر, سامسا. Bookmark the permalink. 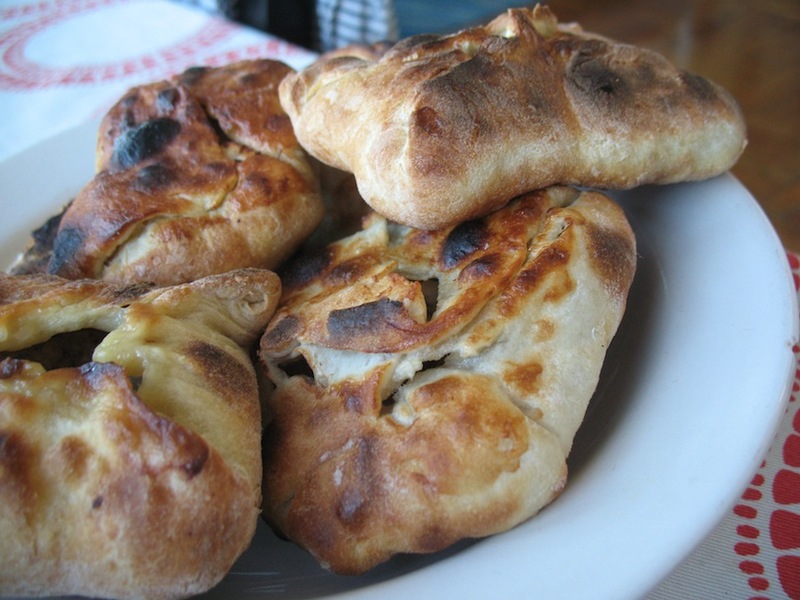 Those samsa look seriously delicious. Nice touch with the broiler!